Vodafone has released details of a new small cell device that uses a broadband connection to provide 4G and Narrowband IoT (NB-IoT) coverage in areas where the telco’s mobile network doesn’t reach. The telco said it recently conducted six-week trial of the Vodafone Regional Coverage Hub took at a potato farm near Ballarat in Victoria. 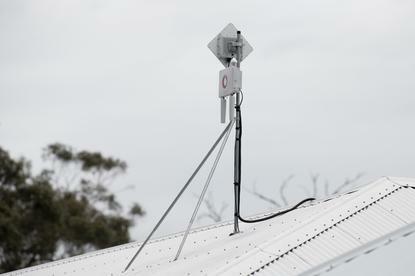 Two of the Nokia-made devices provided around eight square kilometres of mobile coverage, with connectivity back to Vodafone’s network delivered via an NBN fixed wireless connection. The new Vodafone service is based on Nokia's Community Hosted Network offering, which combines a Nokia Flexi Zone Micro BTS with zero touch configuration and a Nokia cloud-based OSS. The device, which is around the size of a modem, requires an external power source and a broadband connection, which acts as backhaul. “Farmers face a particularly big challenge without reliable mobile coverage across their properties,” Vodafone’s chief technology officer, Kevin Millroy, said in a statement. The telco says it is also looking at using NBN satellite connections with the hub, which would allow households in remote parts of Australia to use it. Vodafone has previously advocated for regulated domestic mobile roaming to be introduced into Australia, which would potentially help it extends its regional coverage by leveraging the mobile infrastructure of its rivals. The telco last year lost a court case against the Australian Competition and Consumer Commission over the ACCC’s inquiry into the issue. Vodafone is currently in the process of pursuing a merger with telco TPG. TPG is preparing to imminently launch its own mobile network; however, the company has been focused on providing coverage in the Sydney, Melbourne, Adelaide, Canberra and Brisbane CBDs and surrounding suburbs.